Join local authors for the monthly Words and Wine Event at 6 p.m. Tuesday (Dec 5) hosted by Kona Stories Book Shop. This event is free to the public and offers a chance for you to meet and greet some of Hawaii’s favorite authors while you enjoy complimentary pupu and wine. December’s featured authors are: Selvy Thiruvengadam, Heather S. Friedman Rivera, Dennis Alstrand and Eliza Cahill. Selvy Thiruvengadam has been an artist all her life and a Masters Level Art Therapist and Sandtray Therapist since 1993 working in a variety of settings with different populations spanning all ages. 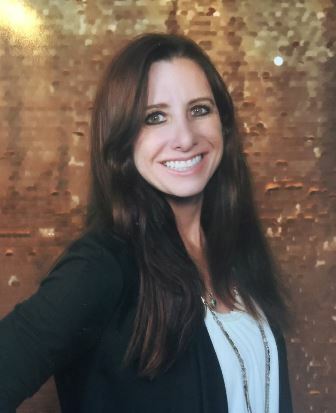 She has worked on in-patient and outpatient acute medical and psychiatric units, substance abuse treatment centers, and residential treatment facilities and in private practice. She specialized in helping people with chronic severe mental illness with addictions. 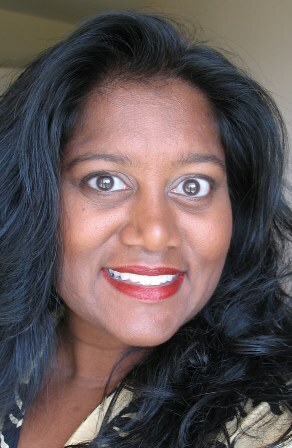 She has meditated since she was 3 and has taught meditation to her clients and others for over 20 years. Throughout the years, her love and focus has been bringing people together in circles to celebrate all of life, teaching how to thrive in life through inner exploration, sacred celebrations, and creative experiences. In 2016, she founded Mystic Bee Sanctuary in Kailua-Kona, Hawai’i, dedicated to promoting bee-ing kind to self & others. It is a sacred space for promoting peace, comfort & joy through cross-cultural arts, teaching & supporting silent meditation, and providing creative activities for adults of all abilities who have an interest in exploring peace, comfort & joy. A portion of proceeds generated are used on varied projects to increase awareness of the plight of the bees on our planet. Selvy Thiruvengadam’s Love Ladies invites readers to join seven wild and not so wild women on an annual restorative retreat that includes rising with the sun, cooking finger licking good meals, skinny dipping in the sea, napping, meditating and massage, shopping, making art, building sandtrays, jammin’ out to good tunes and holding circle under the light of the full moon with mugs of Kona coffee. This diverse cast of characters makes their annual pilgrimage back to a sacred circle at their beach house on the Jersey Shore, sharing their nutball antics, life fatigue and need for a reboot through their eight-day seaside retreat. Lakshmi, the youngest of this cross-cultural den, cultivates her inner wise woman as these Love Ladies share their life journeys. This book explores the bonds of female friendship and the healing power of humor and love. It celebrates a return to sacred circle, both literally and symbolically, and honors the connection to womanhood, sisterhood and the Divine Feminine. Love Ladies is her first novel. Heather S. Friedman Rivera, RN, JD, PhD was born in Los Angeles, California in 1963. She founded a research institute for advancing past life research, PLR Institute. In addition to speaking and researching about past life and related therapies, she writes fiction for adults and young readers. She also hosts writing workshops on healing through fiction. She is the author of Healing the Present from the Past, Quiet Water, Maiden Flight, Ultreia, Into Exaltia, In Search of Emerald Bay, and Into the Crystal (to be released summer 2017).When not writing, she loves to hike close to her home in Hawaii. Her best friends include a Puggle and a black cat. Into Exaltia is about twelve year old Sara and her younger sister, ten year old Molly, who were dropped off at their grandma’s house to spend spring vacation. They expected certain things to happen. They expected to eat grandma’s delicious cooking, to make up imaginary games to pass the time, and sometimes to be bored. But they never could have imagined what did happen! A magical portal opened, a prism showed them the way to another world, and the girls were thrown into the adventure of a lifetime. The girls are joined by a boy from their world and befriended by Thorn and Sael, two tree elves in Exaltia, to face many dangers in answer to an urgent cry for help. Who else will save the gnomes if not the Prism Walkers? Will they be able to complete their mission and will they find their way home again? Dennis Alstrand had his first book, The Beatles and Their Revolutionary Bass Player published in 2013. It became an Amazon best seller and was the number two Beatles book in Europe. His writing style is conversational, and directed to the lay-listener. 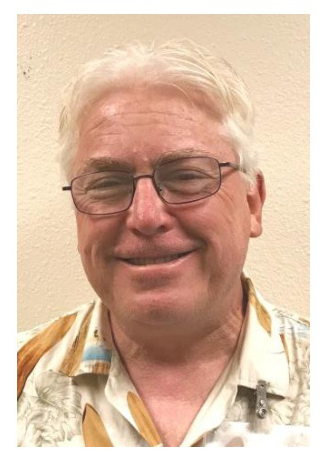 Along with being a dedicated writer, Dennis plays many musical instruments, is the head of a large Special Olympics organization in Hilo, is an active mediator, works days with disabled welfare clients, and is married to the love of his life and wife for 25 years, Sandi. Alstrand’s newest book, Beatles in Your Soul includes stories of the memories, inspirations and love for The Beatles by fans from all ages and cultures. These thoughts were captured over a three year period of interviews and communications, and the n compiled into book form. The contributors discuss their first experiences, the long range affect the Beatles had on their lives, the songs, the albums, the people behind the scenes and much more. If you’re a fan of the group that changed the world, you’ll hear your voice in much of the commentary. There are a lot of smiles in this book, but there are also tears as we remember the loss of John Lennon back in 1980. Eliza Cahill is a promising young writer, director and designer, born abroad in Milan Italy. 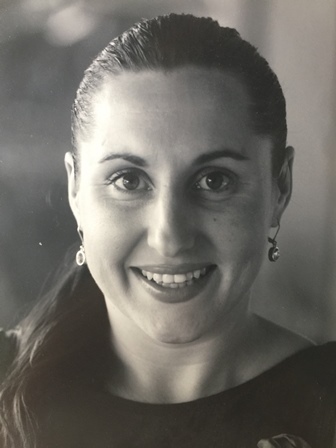 Shortly after birth, her parents moved to a scenic, Sierra-Foothill community winery where she experienced a classic European upbringing and Montessori, art-focused education. She began taking the poetic arts seriously at age eight, after one of her poems was selected for publication in a “Children’s book of Poems.” The following year she was introduced to the experimental poet Eric Nightingale, who took her on as an apprentice, helping hone her craft. Later, she was mentored by the esteemed folk singer/songwriter and storyteller Utah Phillips, shortly before he passed away. Eliza began performing her poetry at sixteen in various Santa Cruz and San Francisco venues. She received multiple local and national awards for her poetry, most recently in the Big Island National Spoken Word Competition, where she took home the 2014 title of “Big Island Slam-Champion.” Those poems went into her first poetry book, Paper Life Vest, which was followed by its sequel, Words Float, in 2015. The poems reflect a surreal combination of her childhood emersion in nature, the underground hip-hop revolution and an afterglow of the feminist movement. In Strange Whorl we meet an intelligent but disenchanted woman who experiences the journey of her life without even knowing it. After surviving an unusually tragic childhood, Jillian Heart, now a young woman has spiraled into deep depression and suicidal ideation. The story begins at her breaking point. Homeless and alone on Christmas, Jillian stands on the edge of self-destruction, ready to take her own life, but fate has other plans. A mysterious stager intervenes. His honesty, tenderness and razor-sharp insights trigger Jillian’s childhood demons, propelling her toward a necessary catharsis that leads to healing and an emotional evolution. With help, Jillian uncovers secrets of the universe and her past that reinvigorate and infuse her life with a long forgotten feeling—hope for the future. This event starts at 6 p.m. with an informal meet and greet merging into a more formal book presentation from each author and concluding around 8 p.m. after a Q&A session. Dress is casual aloha wear. Kona Stories is located in the Keauhou Shopping Center, for more information call Brenda or Joy at 808-324-0350.